Chris Brown’s music evolved within the intersections of many different traditions and styles. Following early training as a classical pianist, he was influenced by studies of Indonesian, Indian, Afro-American, and Cuban musics, and then took off on branches provided by the American Experimentalists in inventing and building a personal electronic instrumentation. At first these were amplified acoustic devices; then he went on to build analog circuits that modified their sounds, and custom-made computer systems that interactively transformed them. More recently, he has extended this fascination with instrument building to the design of computer network systems that interact with acoustic musicians and with other computers and musicians connected over the internet. Collaboration and improvisation have been primary in the development of his music for various traditional instruments and interactive electronics. He has had commissions for such pieces from the Rova Saxophone Quartet, the Abel-Steinberg-Winant Trio and the Berkeley Symphony Orchestra, among others. He was a member with percussionist William Winant, saxophonist Larry Ochs, and electronic musician Scot Gresham-Lancaster of the pioneering group “Room”, (1984-94) which explored the intersection of composition, improvisation, and electronics. His 1992 composition “Lava”, for eight instruments and interactive electronics, is an hour-long, quadraphonic sound environment that virtuosically employs live-sampling to create spatially flowing counterpoints of timbre and rhythm. As pianist with the Glenn Spearman Double Trio he has performed and recorded music in the free-jazz tradition at venues including the San Francisco and Monterey Jazz Festivals, the DuMaurier and Victoriaville Festivals in Canada, and in Europe. He has performed and recorded with such prominent and varied improvisors as Butch Morris, Anthony Braxton, Wadada Leo Smith, Marilyn Crispell, Barry Guy, Ikue Mori, Dave Douglas, and John Zorn. He has also been active as a pianist in performing the music of composers such as James Tenney, Henry Cowell, Christian Wolff, William Brooks, David Rosenboom, John Coltrane, Luc Ferrari, and Terry Riley. 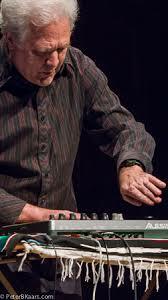 Since 1986 he has been a member of “The HUB”, an ensemble of computer musicians who developed the “Computer Network Music” genre whose sound arises from the interdependency of multiple computer-music systems. The Hub toured extensively in the U.S. and Europe, released three different CDs, and collaborated with such composers as Pauline Oliveros, Alvin Curran, and Ramon Sender. The Hub also participated in several media projects, including remote-site concerts (distance-musics), a live, video-generated realization of of John Cage’s chance-operations score “Variations II”, and an interactive poetry/music piece for radio (supported by a grant from the InterArts Program of the National Endowment for the Arts (NEA)). He collaborated between 2002 and 2008 with composer/sound artist/Guillermo Galindo in their “TRANSMISSIONS” series, using four low-power FM radio transmitters to interact with an audience carrying portable radios; The series was premiered in May 2002 at the Bienal de Radio in Mexico City, and completed in 2008 at the Sound Symposium in St. John's, Newfoundland, Canada. An installation involving networked rhythm-machines spread throughout a large space called “Talking Drum” was produced in Montreal, San Francisco, and Holland. A series of concert pieces called “Inventions” sprouted from the polyrhythm generating software for that piece, including “Invention #7″, for piano, percussion, DJ, and interactive computer, which was premiered at the 2001 Other Minds Festival in San Francisco. He also worked with programmer Phil Burk’s TransJam/JSyn software to produce on-line interactive music websites (www.sfmoma.org/crossfade), and with programmer/composer Mike Berry in supporting the development of the “Grainwave” live synthesis software for the Macintosh. A project called “Eternal Network Music” used Grainwave instruments to produce simultaneous, collaborative concerts between California, Germany, and the East Coast. He is a featured composer, performer, and/or producer on over 30 recordings of new music. These include CDs of his own compositions on labels including Tzadik, Centaur, Sonore, Ecstatic Peace, Sparkling Beatnik, and Artifact Recordings. He has published articles on his innovative approach to live electronic music in Computer Music Journal and the Leonardo Music Journal. He also authored the article “Pidgin Musics”, on hybrid musical cultures, in the compilation volume “Arcana: Musicians on Music”, published by Granary Books. He has been an Artist-in-Residence at such institutions as STEIM in Amsterdam, Institute for Studies in the Arts (ISA) at Arizona State University, Headlands Center for the Arts in Sausalito, and Montalvo Arts Centerin Saratoga, California. 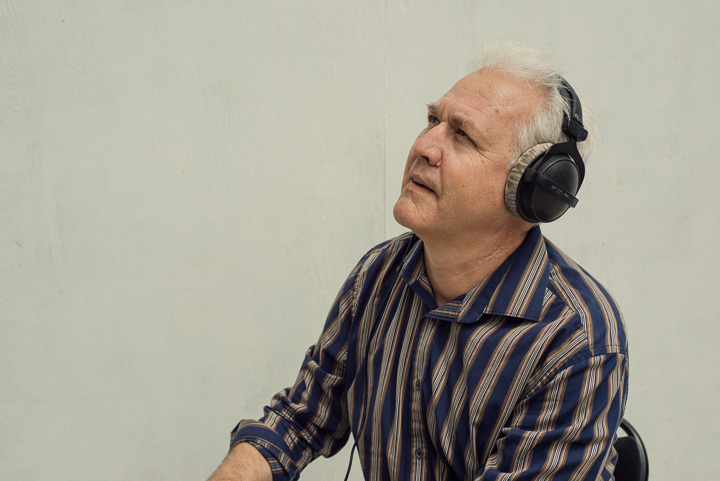 Since 1990 he has also taught electronic music, composition, world music, and contemporary performance practice at Mills College, in Oakland, where he is a Professor of Music and Co-Director of the Center for Contemporary Music. New works to be composed will pursue these future musical trends: 1) musicians with computers will play music in ensembles, and their software will interact with both other humans and other computers in performance; 2) electronic media will integrate ever more seamlessly with acoustic instruments by becoming more responsive to their musical signals and languages, creating extensions of human intelligence within networked sonic and visual environments.